Are you an IKEA fan? If you have any cork hot pad trivets in the house, here is a pattern you’ll ove. 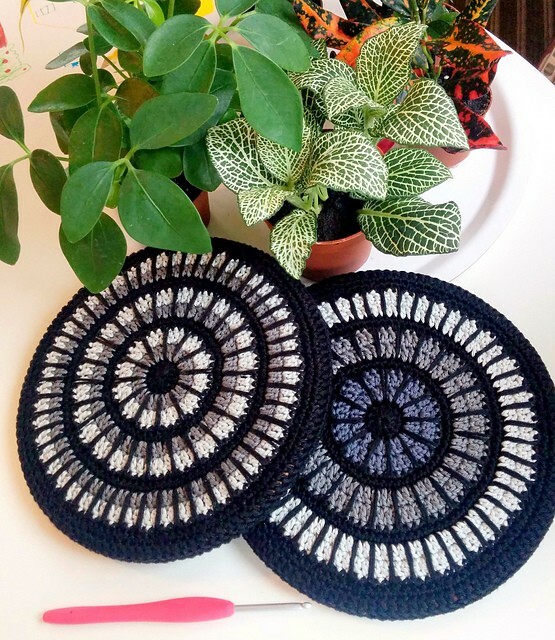 Brighten your IKEA cork mats with these brilliant crochet Mandala Hot Pad Trivet Cover, a pattern design by Anna Erlandsson. These trivets are fantastic and artistic. They are great decoration for your kitchen and also a great gift idea. I recommend a 100% mercerised cotton, sport weight. Don’t use acrylic yarn as it can’t cope with the heat from hot pans. I used leftover bits of Schachenmayr Catania and Scheepjeswool’s Catona and a 3.5 mm (E) hook. You’ll also need those IKEA cork trivets and the usual suspects darning needle and scissors. Hi Bailey, the pattern is linked to the name of the pattern. 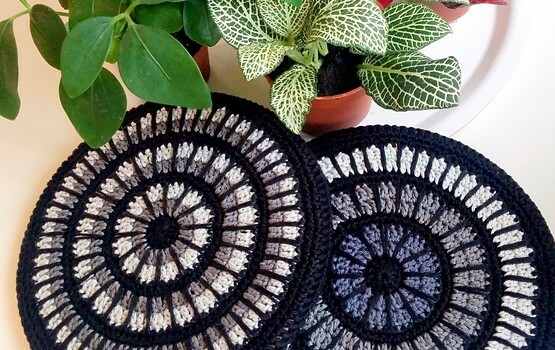 Please click the Mandala Hot Pad Trivet Cover words to get to the pattern’s page. Hope it helps.